At every awards show, there is always one colour trend that stands out, and pink ruled the red carpet at the 2015 Emmys! 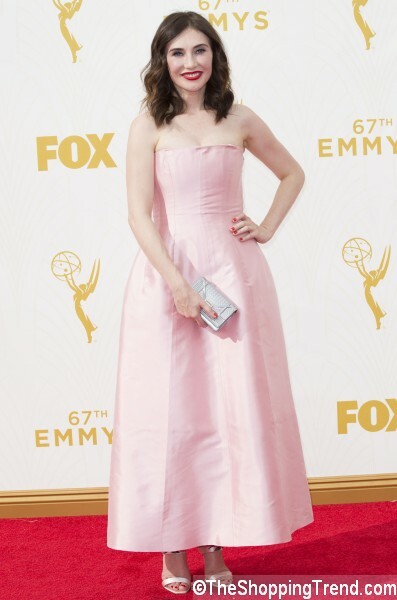 From the bright and bold pink strapless gown by Oscar de la Renta seen on Elisabeth Moss to the icy pink seen on Game of Throne actresses Maisie Williams and Carice Van Houten. Elisabeth may not have won the Emmy for her role as Peggy Olsen in 'Mad Men', but she stole the show in a strapless fuchsia ballgown with black trim and very light blonde hair and perfectly matching lipstick. Her co-star Jessica Pare was equally bright in Monse, a strapless bright pink gown with rosette neckline, soft draped pleats and her hair in a chic chignon. 'OITNB' star Samira Wiley is outstanding in a major splash of colour, looking lean and elegant in a one-shoulder cape dresss. Sometimes less is more, and she looks like a goddess!